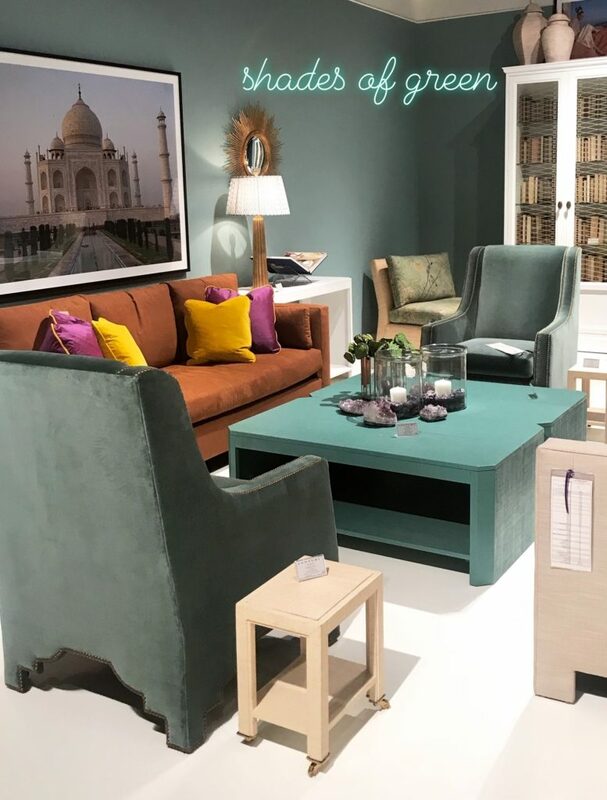 We are still in awe of all of the beauty we experienced last week at the High Point Furniture Market. It was a rough start with Hurricane Michael crashing the party and leaving many of the showrooms (and our hotel) without power. As we settled into four solid days of meetings, showroom visits, seminars, and connecting with industry friends from across the country, we quickly realized how fortunate we are to work and play with such an incredible group of professionals. There are so many moments and new ideas to share, so we thought we’d ask our team to share their top highlight. These are the trends that we are sure to see working their way into our designs very soon! Favorite Market Trend: Rich fabrics, colors and textures. Velvet and Mohair! 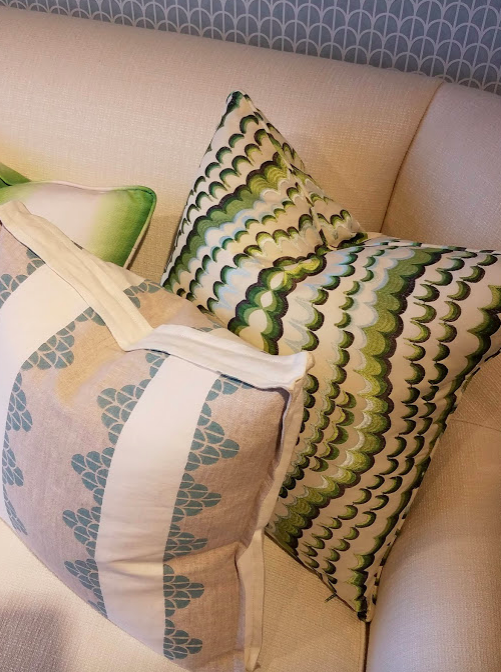 Favorite Market Trend: So many fun custom pillow details! 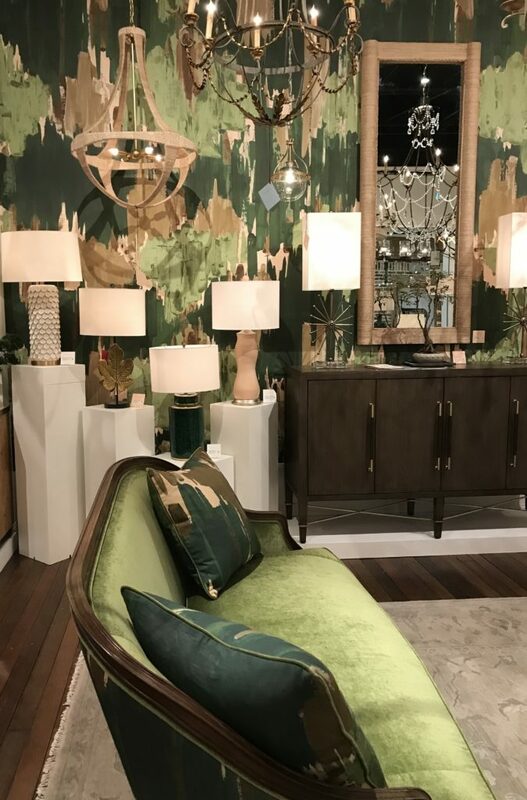 Favorite Market Trend: Green. Green. Lots of Green. 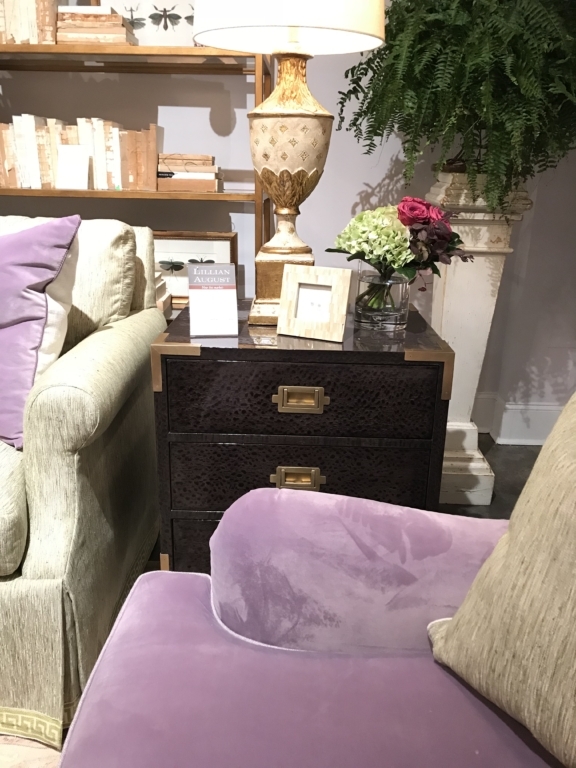 Favorite Market Trend: Upholstered furniture legs! 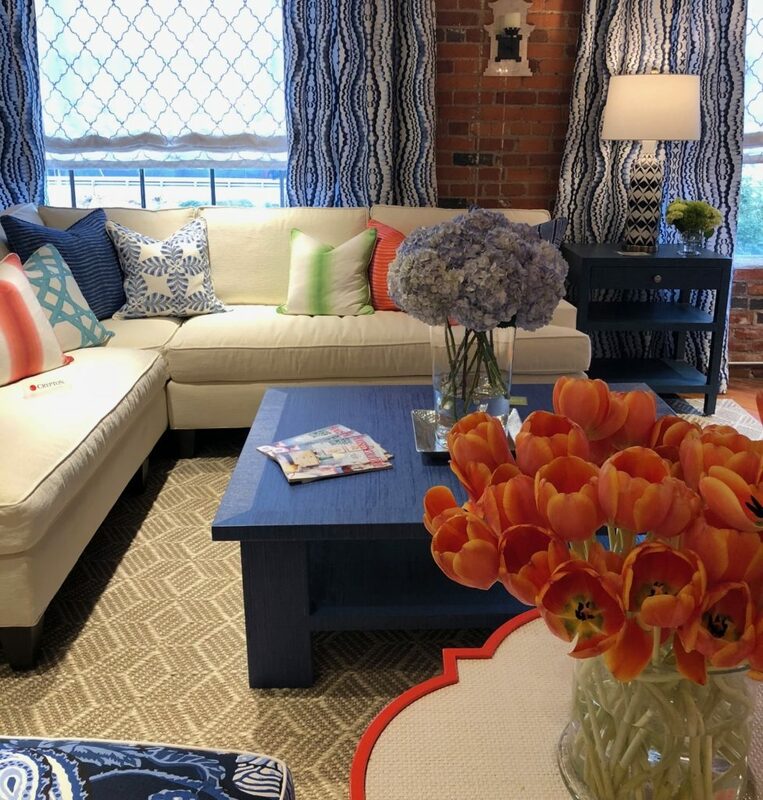 Favorite Market Trend: Bold Pattern, Color and Texture. 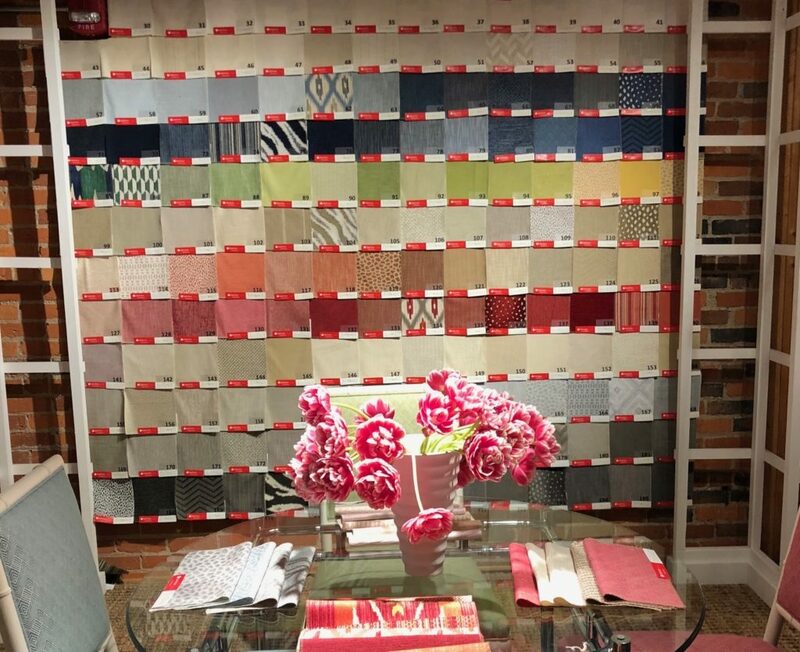 Favorite Market Trend: Beautiful, Durable, and Cleanable Performance Fabrics. Taking the time to learn and explore the many opportunities right here in North Carolina is invaluable to nurturing creativity. It’s just one more thing we love about our great state! Leave a Comment Comments Off on Highlights from High Point!